The only thing better than Thanksgiving? The day after. 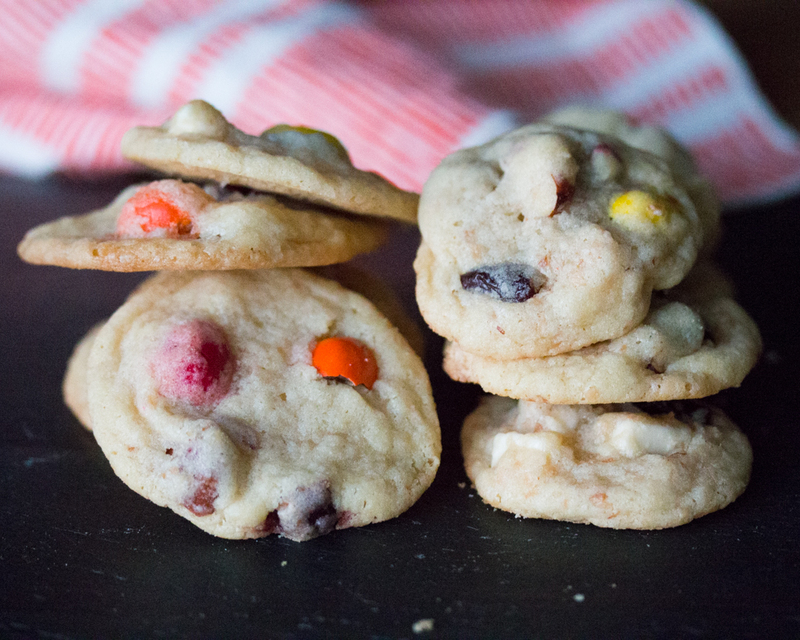 Make the most of it with turkey pot pies, kitchen sink cookies, and more. Hosting a proper Thanksgiving in cramped quarters is not much fun for anyone involved. There’s no room in the fridge for a 16-pound bird, no chairs for your out-of-town cousins, no side table to sag under a massive buffet. It's an obstacle course that rarely sees anyone make it to the finish line without a look of defeat. Contrast that with the day after Thanksgiving—a far better time to revel in the holiday spirit if you live in a small space. That’s when you can celebrate your own kind of abundance, taking your sweet time to remix and re-imagine the food on your plate from the previous night. But it would be a shame to limit your post-Thanksgiving bounty to the confines of a Gobbler Sandwich, no matter how well they turn out. With a few key moves, you can take a bit of turkey, odds and ends from the crudité platter, and any miscellany of candy, nuts, and dried fruit, and turn the profusion into a small feast with big goals: getting together a group of your friends and eating something good. Here’s what to do to create an easy meal that’s scaled down in size from Thursday’s banquet, but no less delicious. 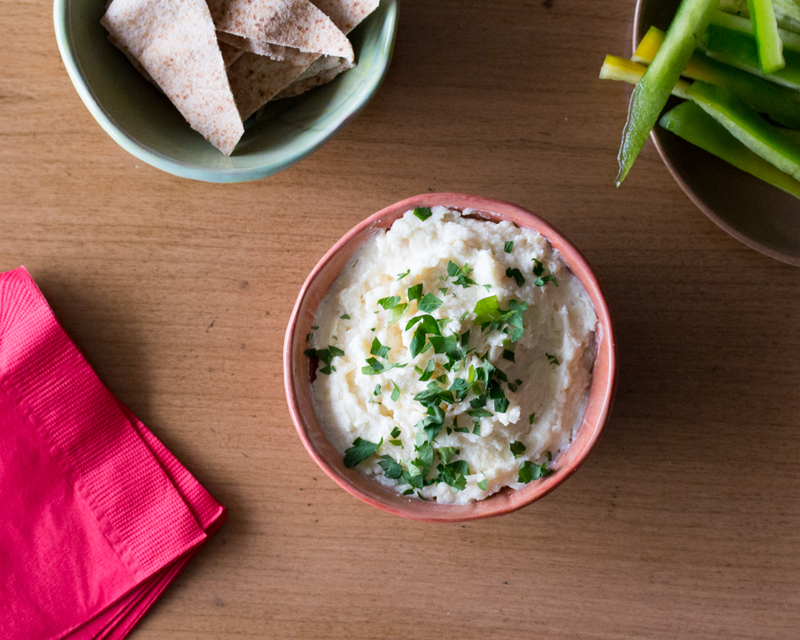 As an appetizer, you’re going to make the cheese spread to end all cheese spreads. Invented by the French to use up rinds and remnants, this indulgent yet sophisticated concoction is called Fromage Fort. First, ravage the sad-looking cheese platter until you have about a ½ a pound of cheese, half soft and half hard cheeses. Take out a little bit of butter, some leftover wine, a small clove of garlic, and green herbs if you have any. First, bring everything to room temperature. Cut the soft cheeses into cubes and grate anything hard, like cheddar or manchego. 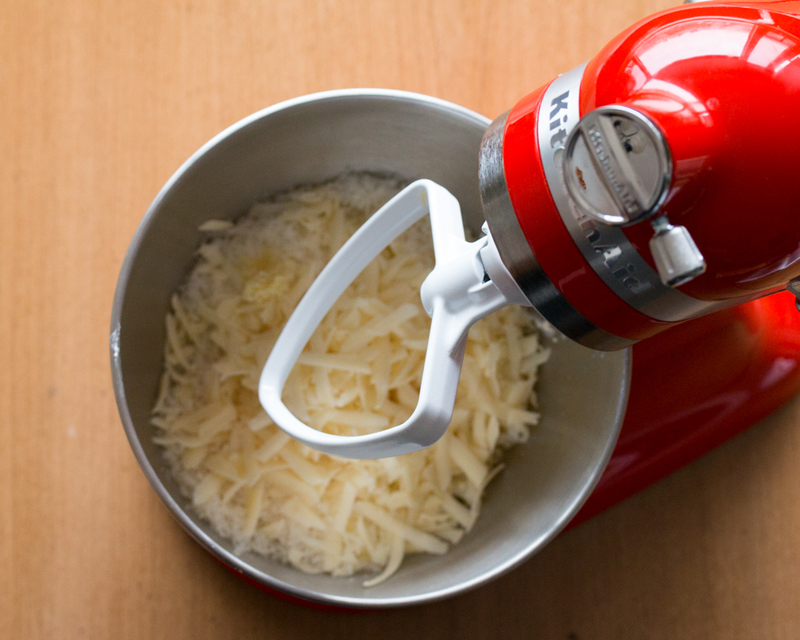 Put them into the KitchenAid® Artisan® Mini Mixer bowl with a tablespoon of butter. Smash the garlic and chop it up into a paste or pulverize it with the fine side of a grater. Run the mixer with the beater attachment, drizzling in white wine by the tablespoon, until the dip is fluffy and creamy, scraping the sides as you go. 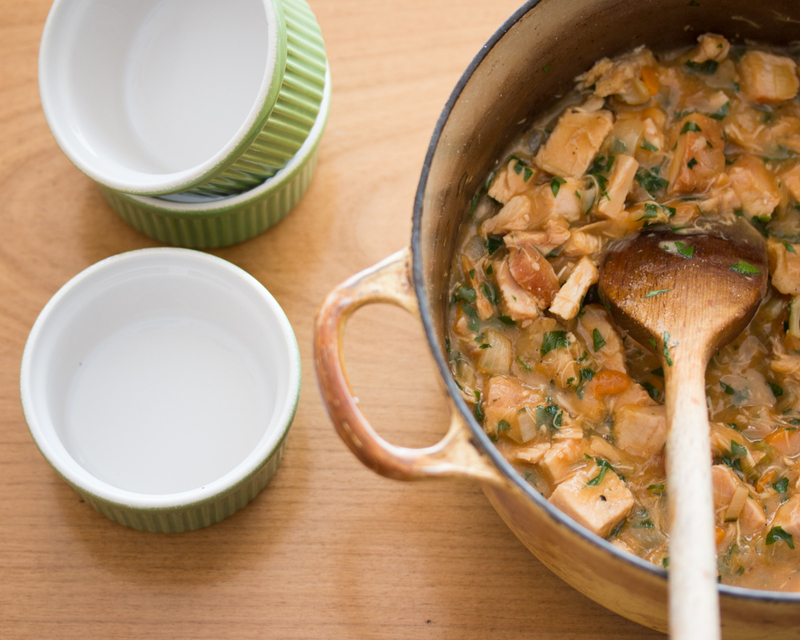 Scoop into a bowl, then top with chopped parsley or chives. You can serve this in a tiny bowl with crackers or cut-up bread or vegetables alongside, or spread it onto baguette slices and toast them under the broiler until brown. The main dish is a foursome of crave-able, homey, mini turkey pot pies, whose payoff is disproportionately big for how easy they are to make. Melt the butter in a pan and add the onion and the other vegetables. Add ½ teaspoon salt, turn the heat to low, cover the pot, and cook for 10 minutes, until the veggies are soft. Sprinkle in the flour, mixing it all around. Then pour in the liquid stock or milk and raise the heat to bring to a boil, then turn the heat to low again and simmer until the liquid thickens, about 5 minutes. Add the tomato paste and mustard, plus the chopped turkey and a small handful of chopped fresh parsley. Taste to make sure you’ve got enough salt, then distribute the filling among four individual, oven-safe dishes. For the top, roll the pastry to about 1/3-inch thick, then trim to fit the dishes and press over the top of each. Use a knife to make a few decorative slashes. 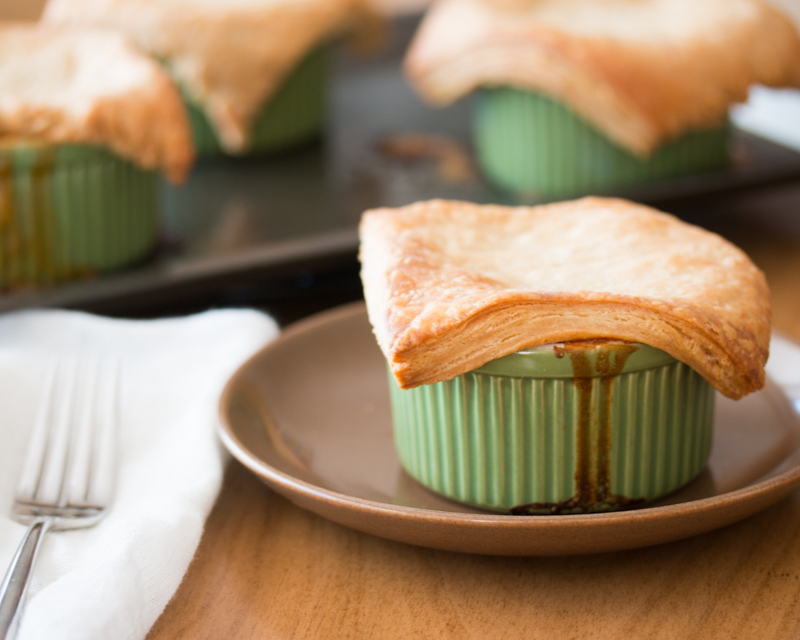 Place the pot pies on a baking sheet, then cook at 425°F for about 20 minutes, until the pastry is golden. The day after Thanksgiving, cravings turn to things that are not brown, soft, or overly rich too. That’s why a fresh crispy and spicy green salad appears beside your pot pies, with one important addition—hot and spicy croutons. 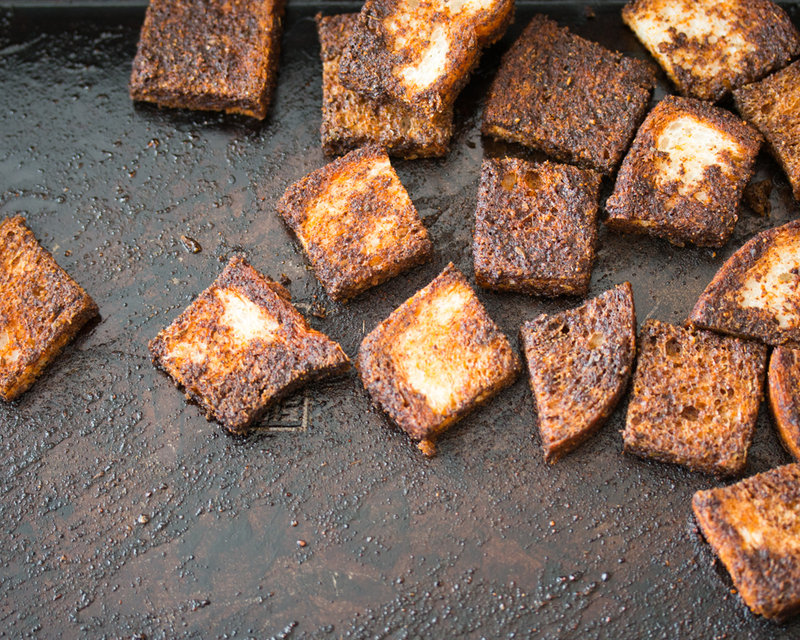 You can make the croutons from leftover stuffing or from leftover sliced bread or cornbread—whatever you’ve got. Cut or tear the miscellaneous carbs into crouton-sized pieces. Then, warm about the oil in a small pan. When it’s hot, add the cayenne pepper, paprika, onion or garlic powder, and a few pinches of salt. Add the bread or stuffing, tossing to coat with the oil. Spread the croutons out on a baking sheet and bake next to the pot pies until crispy. Wash and dry the lettuce and place in a bowl. If you want, you can adorn the salad with judicious bits of leftovers, like cut-up veggies from the crudités spread, dollops of cranberry sauce, or cubes of roasted sweet potato. Dress it simply with olive oil and lemon. Finally, grab the spicy croutons and sprinkle them onto the crisp, dressed salad. Dessert may originate with table scraps, but it culminates in small-sized melt-in-your-mouth masterpieces: Thanksgiving kitchen sink cookies. These use up any nuts, snacks, candy, dried fruit, and even cookies that you’ve acquired from yesterday’s buffet. If you’re using tons of super sweet candy, you can reduce the sugar; if your nuts are really salty, cut down on the addition of salt. Preheat the oven to 375°F. Take the butter and egg out of the fridge and leave them on the counter for 30 minutes. When the butter loses its chill, add to the KitchenAid® Artisan® Mini Mixer bowl with the sugar, and use the beater attachment to cream them together until light and fluffy. Beat in the egg, then sprinkle the flour, baking soda, and salt. Mix again, just 'til combined. Now comes the fun part. Chop salty nuts from the hors d’oeuvres spread and roast any untoasted ones in the oven until fragrant. Break those chocolate turkeys (milk, dark, or white) into bite-sized pieces. Pick up handfuls of harvest-colored M&Ms. Retrieve extra dried cranberries. Scrounge for any extra grated coconut you find lying around (toast that in the oven too, until golden). Crumble leaf-shaped gingersnaps; cube leftover brownies; scoop out pecans from the pie. Almost anything goes. 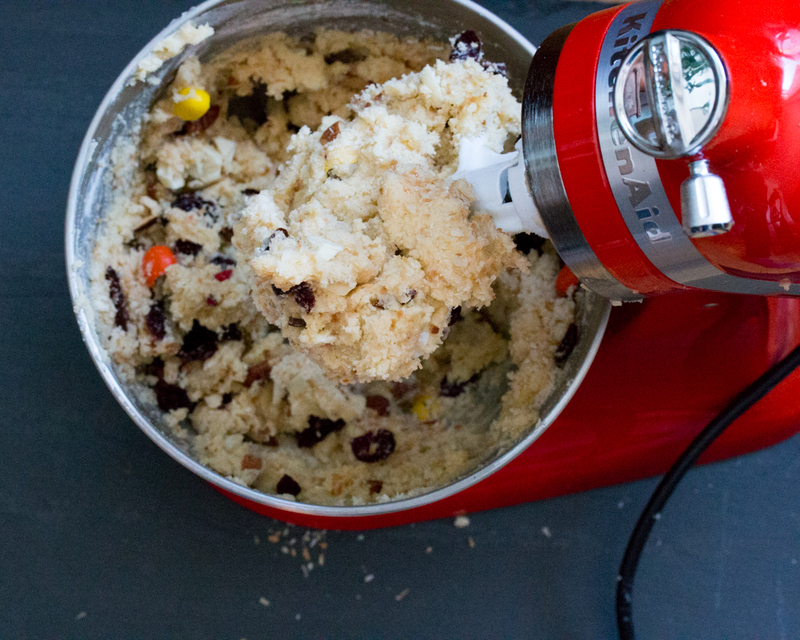 Now, add 2 cups of this delicious hodgepodge to your dough, and beat once more, until the goodies are distributed. Shape the dough into little balls, then arrange them a few inches apart on parchment-lined baking sheets. Bake at 375°F for 7 to 8 minutes, or until just firm. Cool slightly before indulging. And to learn more about the KitchenAid® Artisan® Mini Mixer visit MiniMoments.com.